Formed from laser-cut steel, the Industrial Metal Tapered Legs are bracket-shaped with lightly chamfered edges. 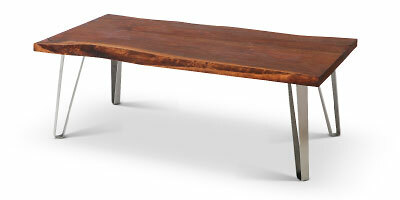 The rugged, solid legs support heavy table tops, for an Industrial Modern look. Available in coffee table and dining table sizes. There's no easier way to build a great-looking, sturdy, contemporary table.